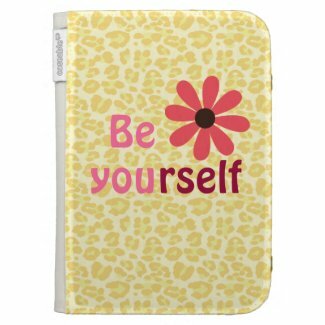 Looking for some cool kindle cases with quotes and sayings? Here are just a few of our new products. 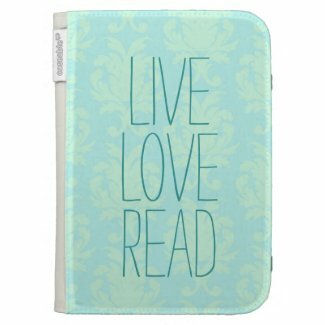 Above is a pretty blue damask pattern with the words, 'live love read' . 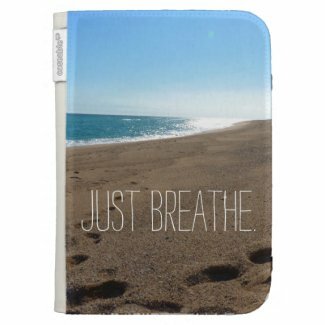 Below is one of my favorites...a beach scene with the words, "just breathe". 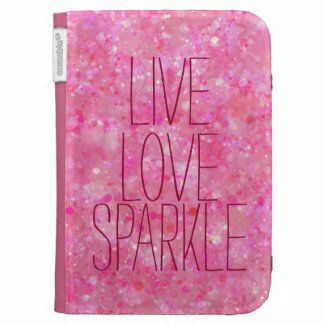 A more unique and girly style is found below with an ethereal pink bokeh background and the words, 'live love sparkle'...printed on the front of the kindle case. This look has a little more wild side to it featuring a yellow gold leopard print background with the quote, "Be yourself" , accented with a retro inspired style flower.